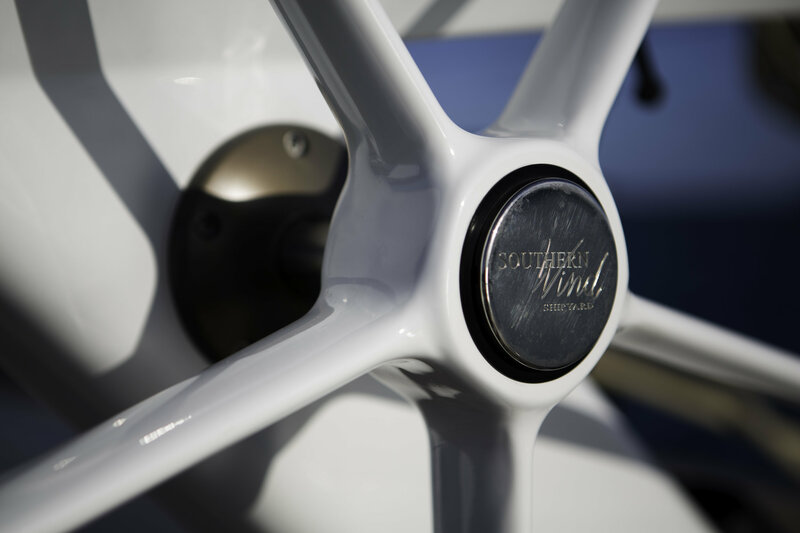 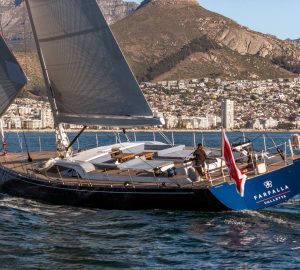 With launch in 2014, superyacht Farfalla is the third SW 102 vessel, built by the respected South African shipyard, Southern Wind. 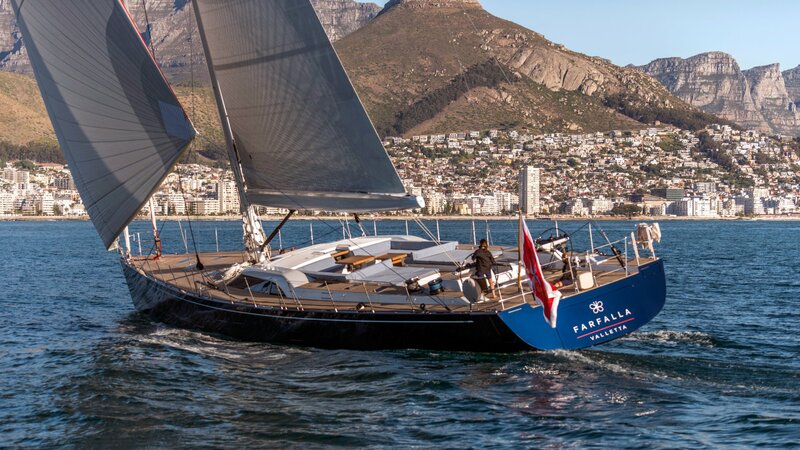 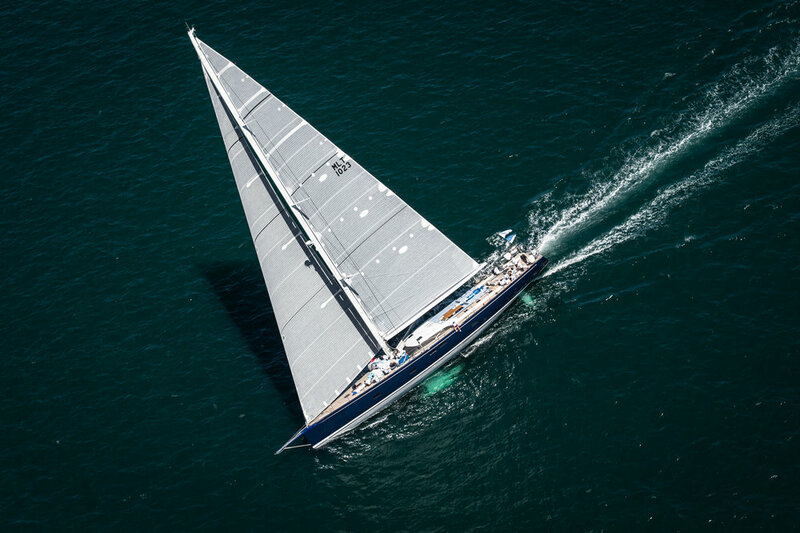 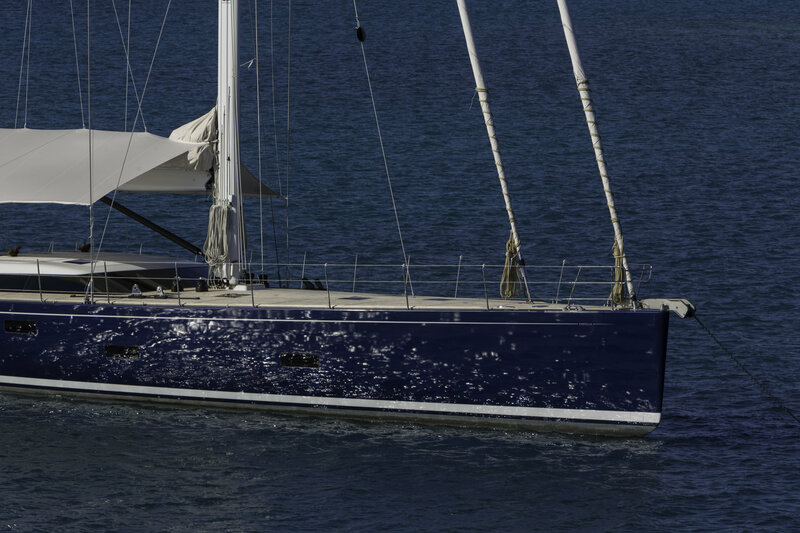 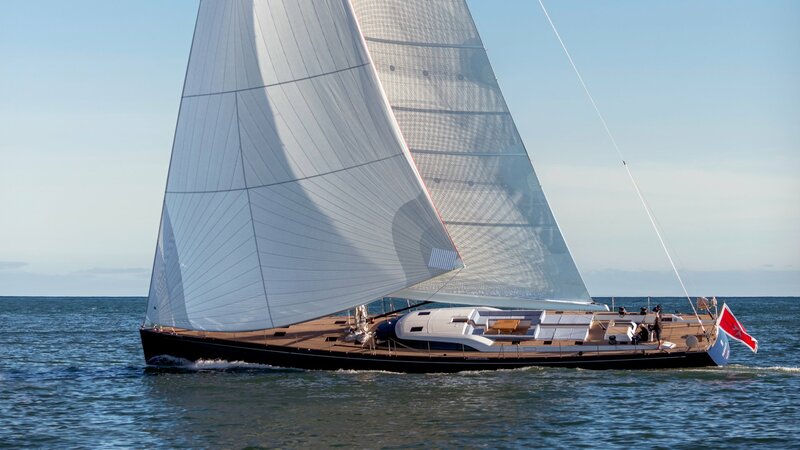 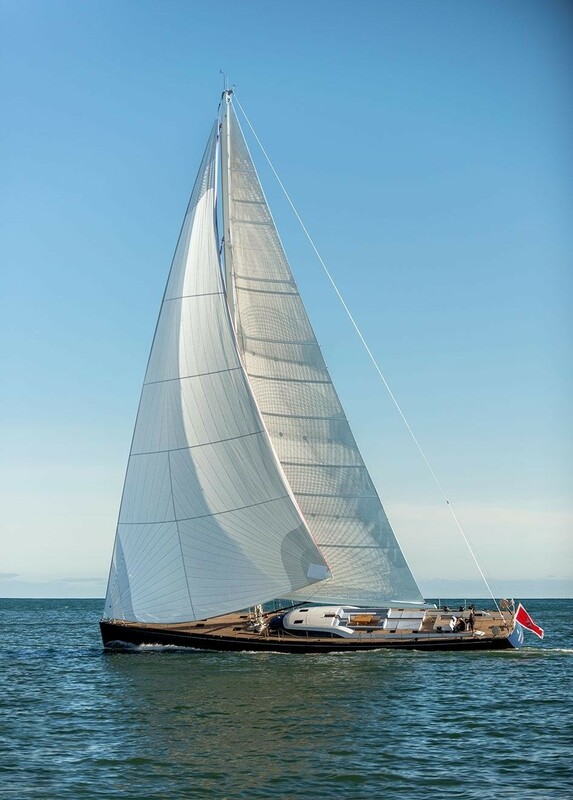 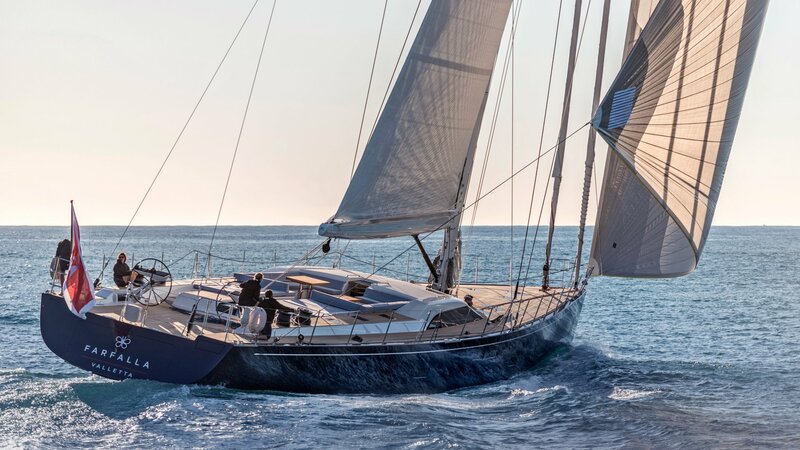 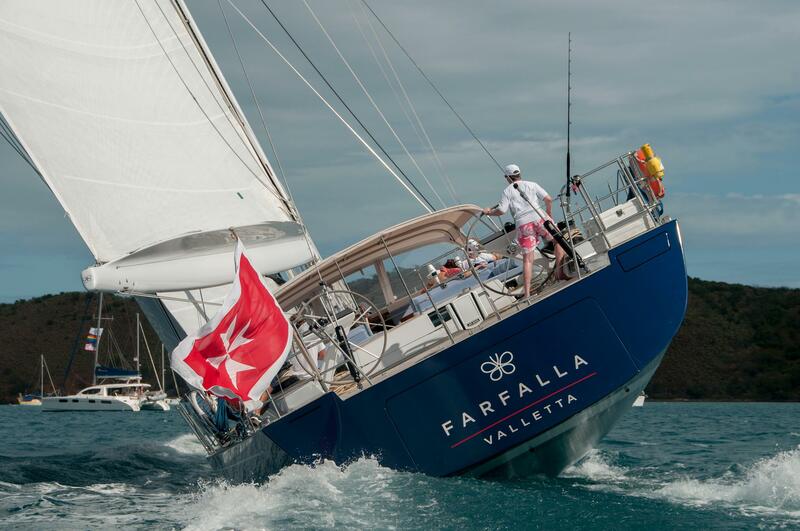 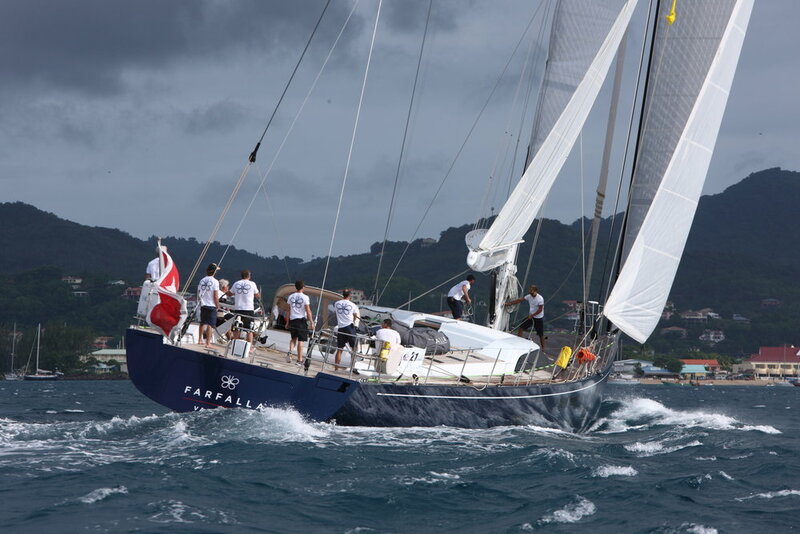 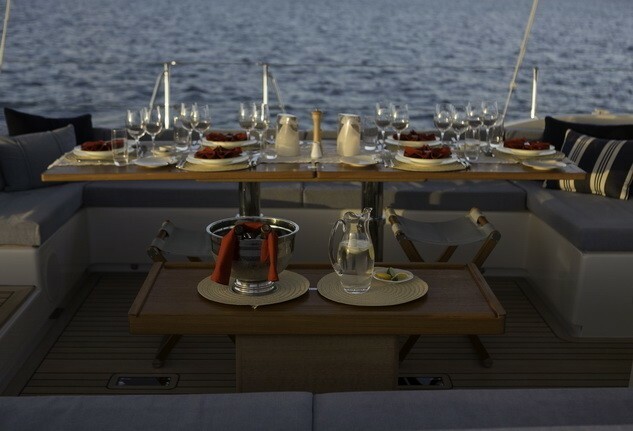 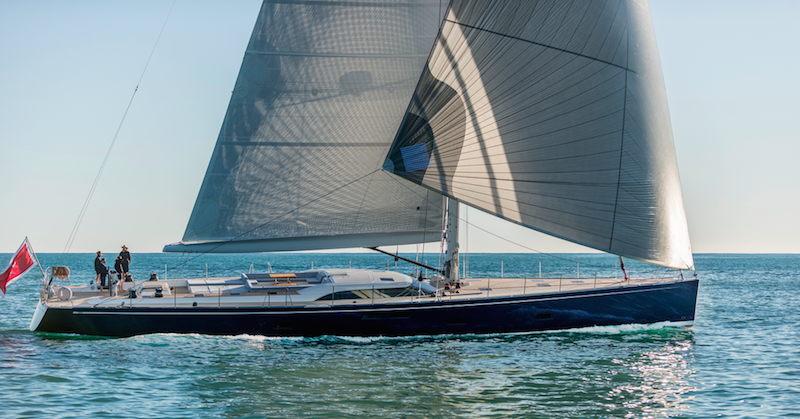 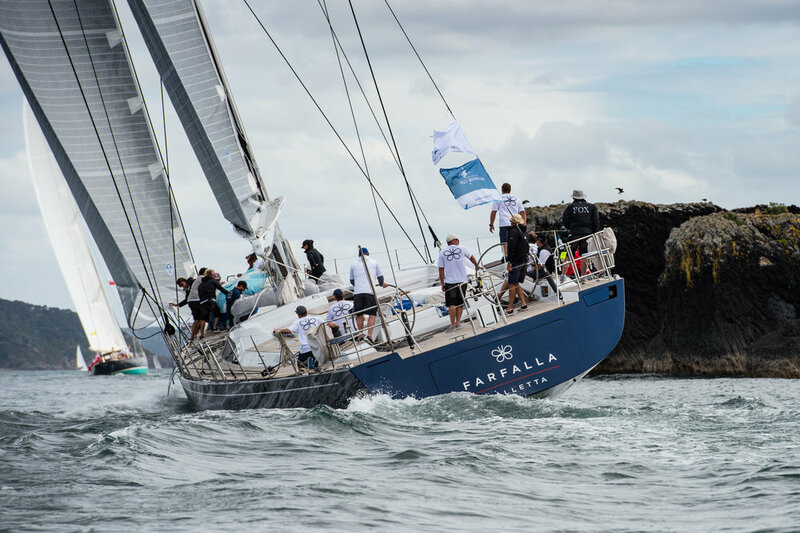 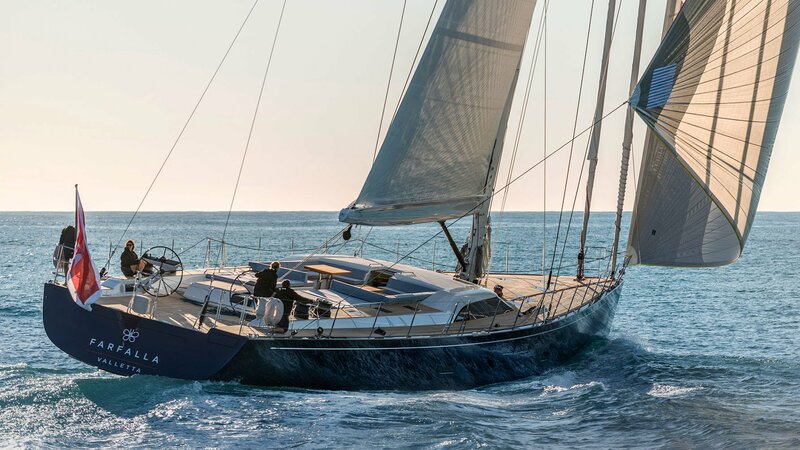 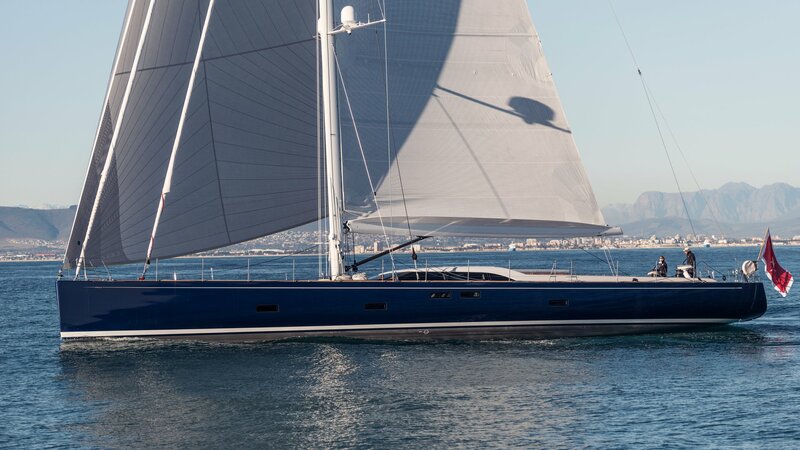 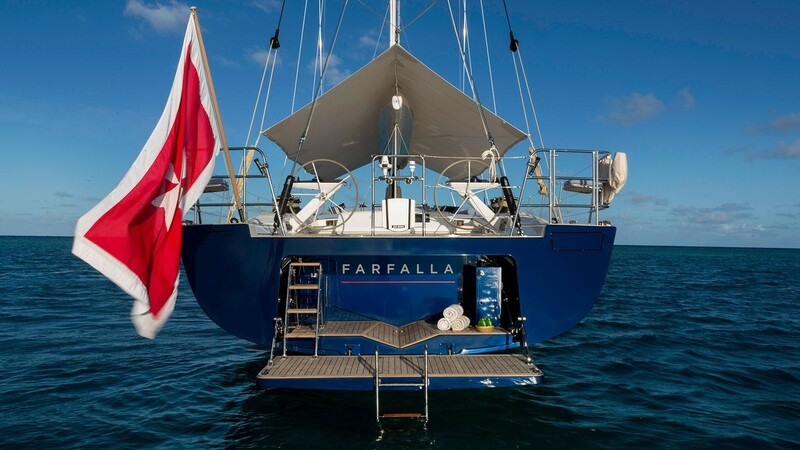 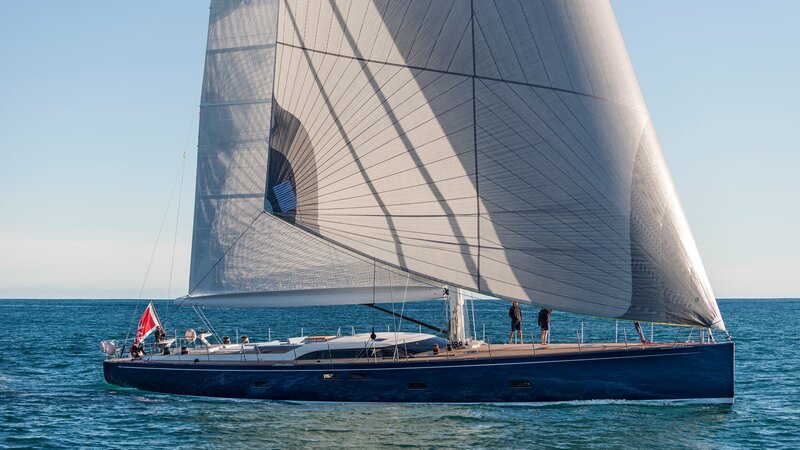 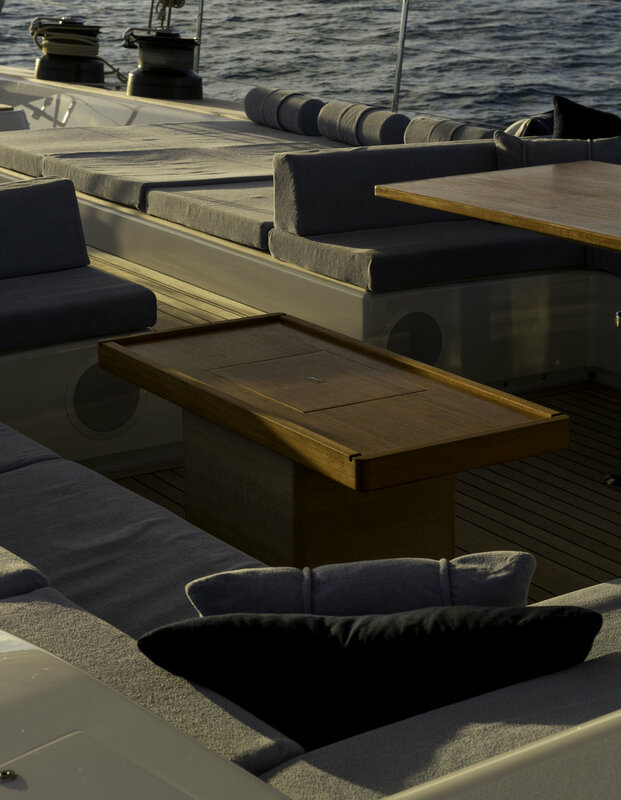 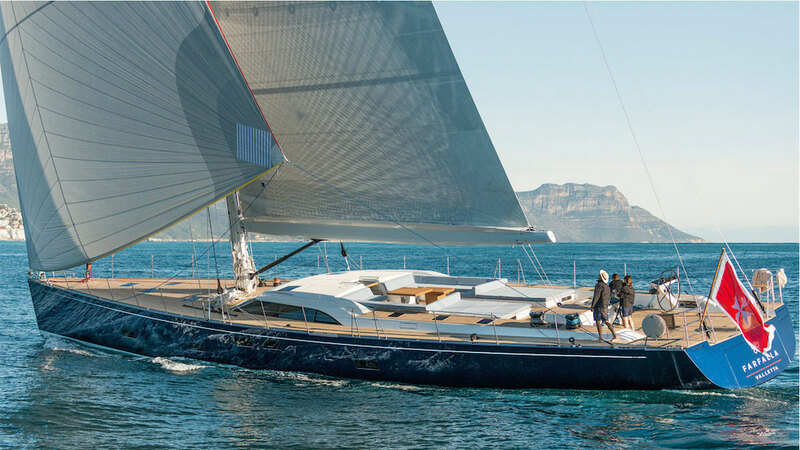 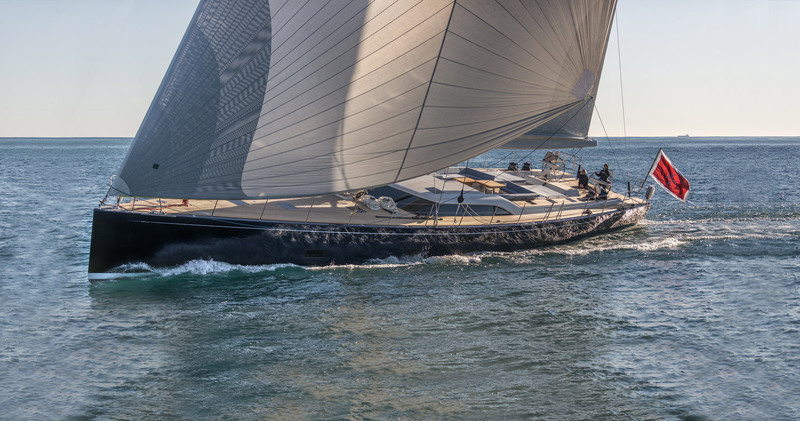 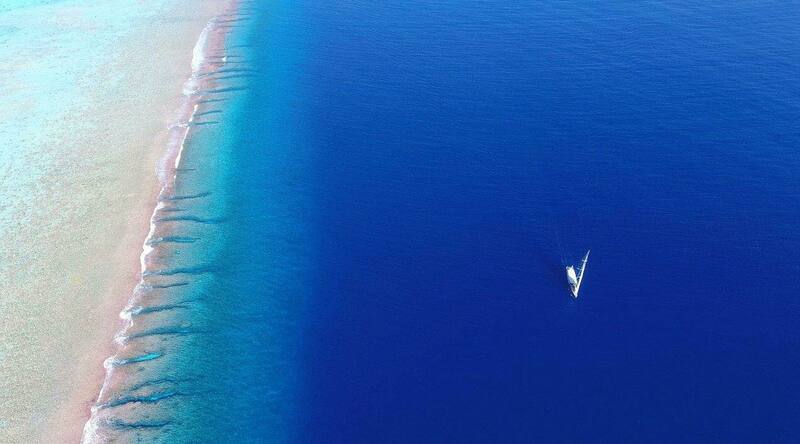 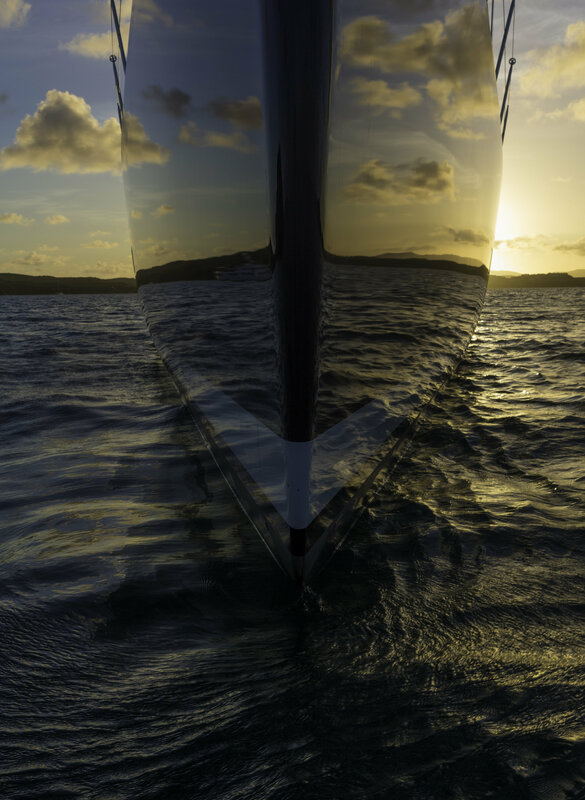 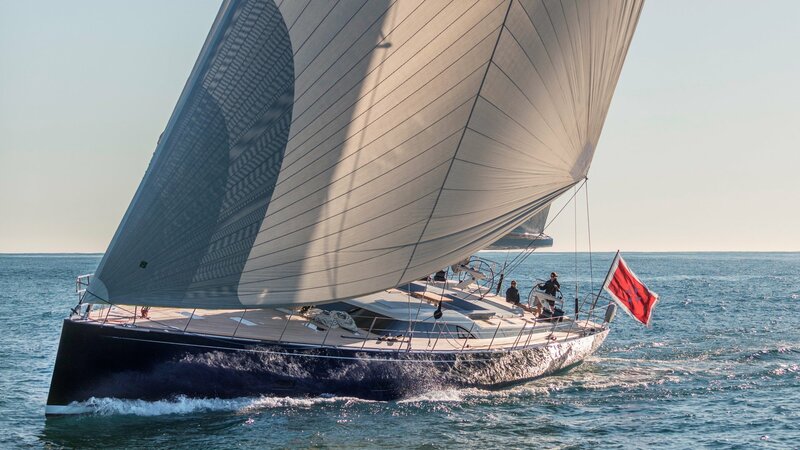 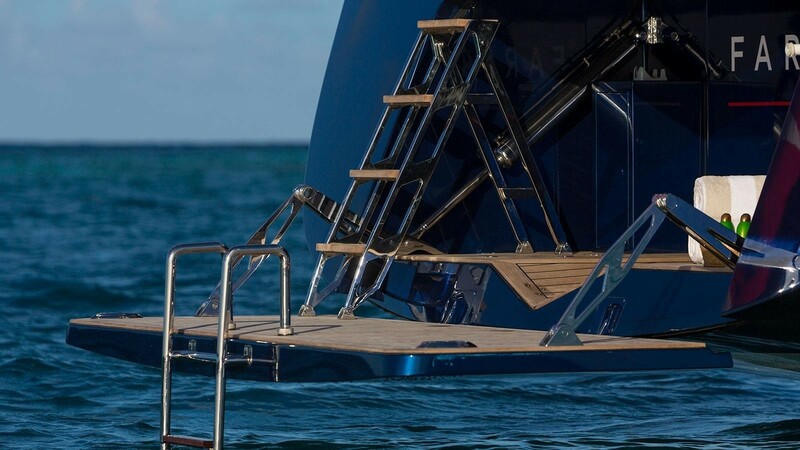 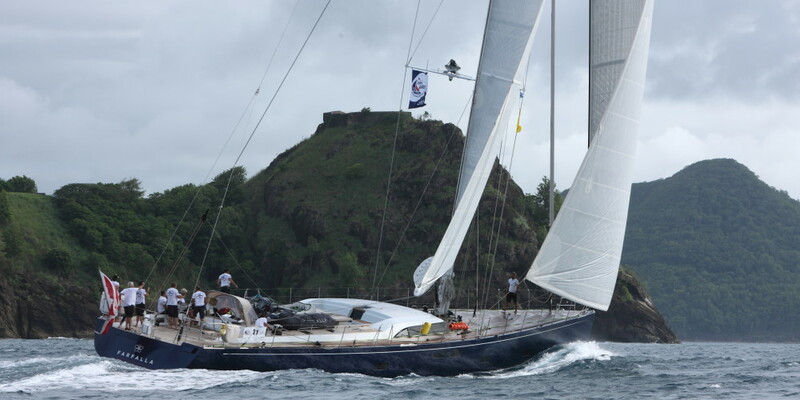 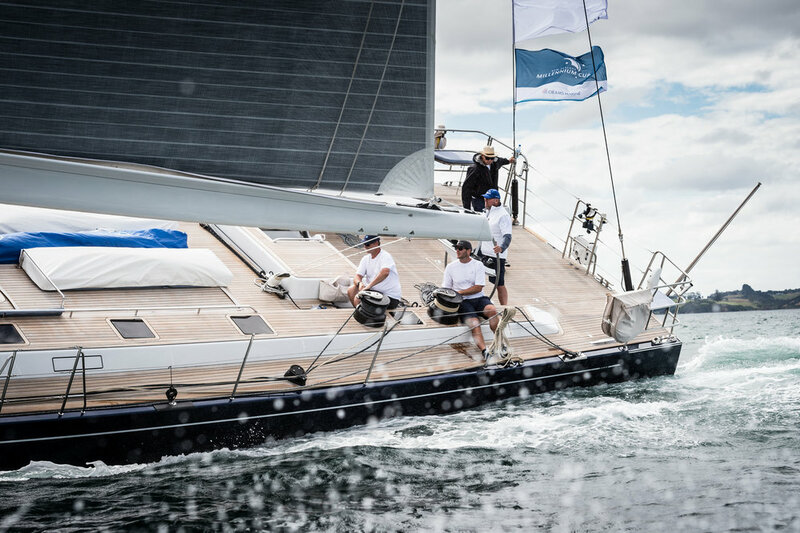 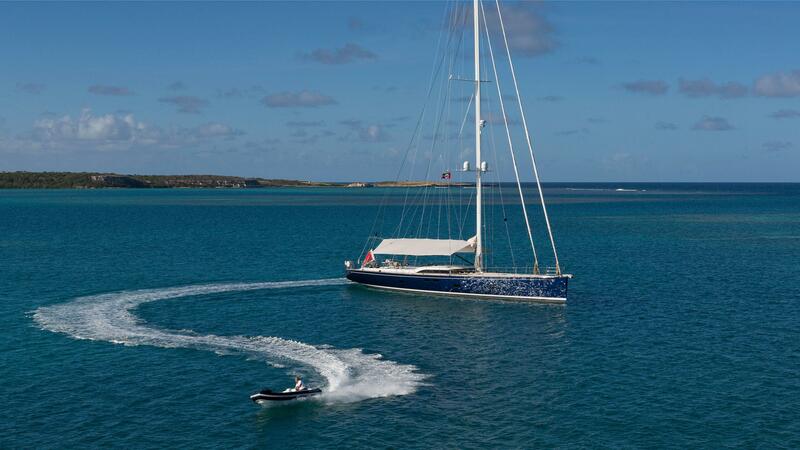 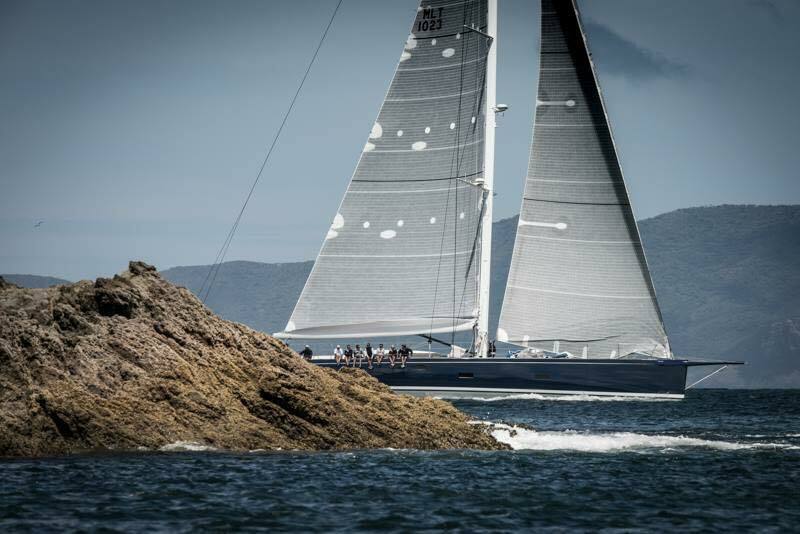 With naval architecture by Farr Yacht Design, sailing yacht Farfalla is penned by Nauta Design. 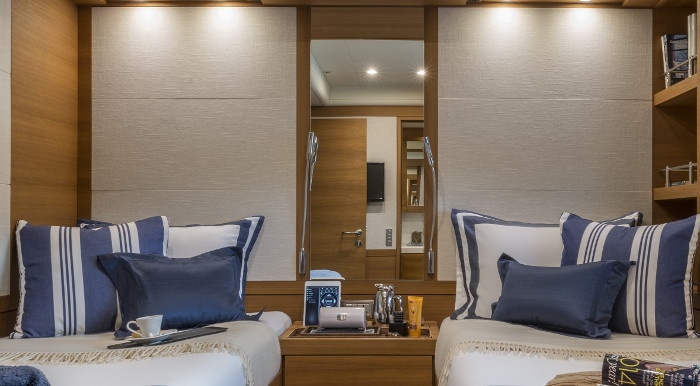 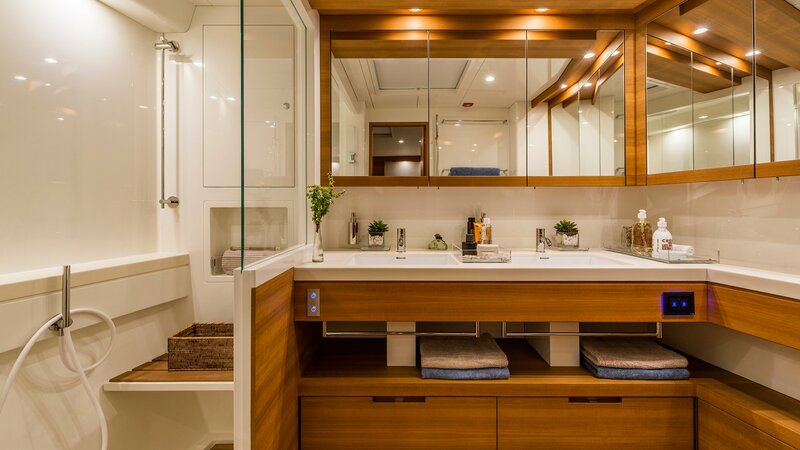 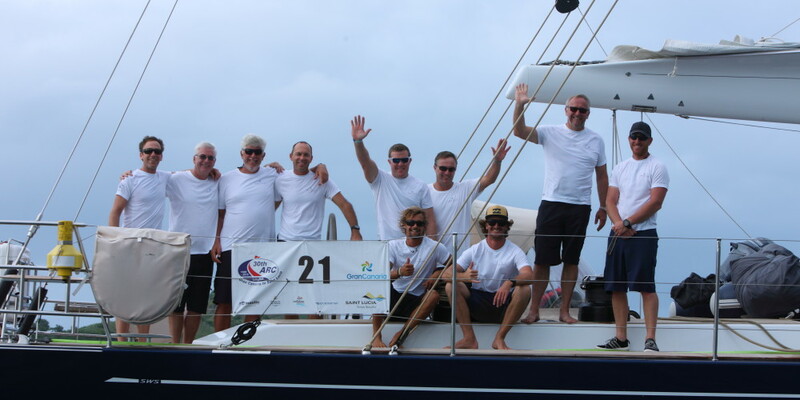 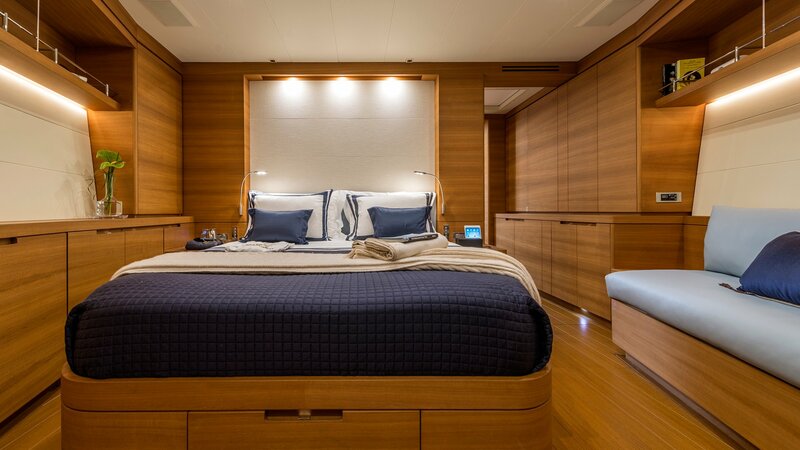 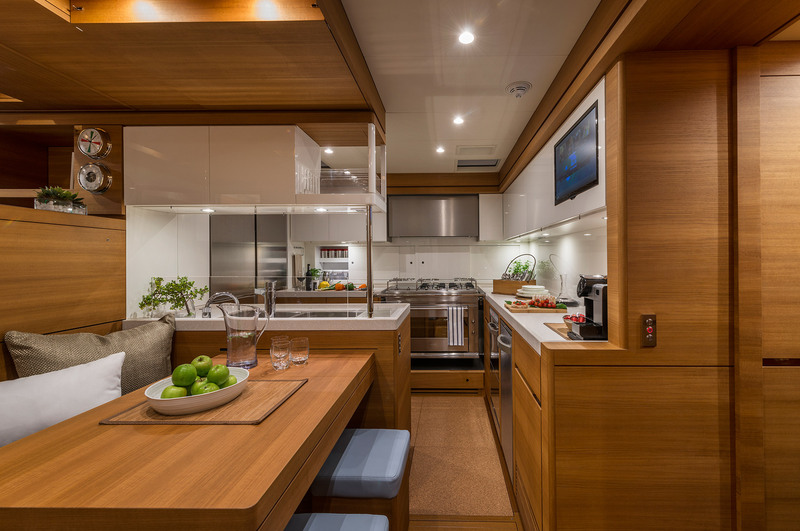 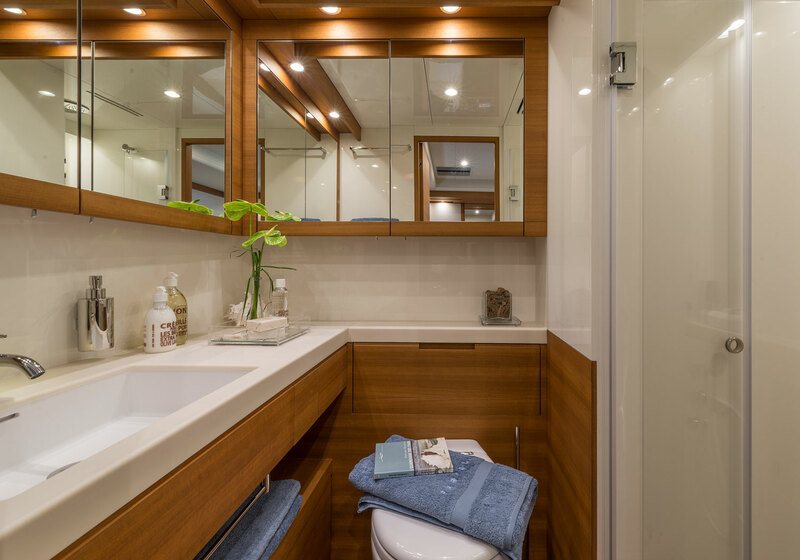 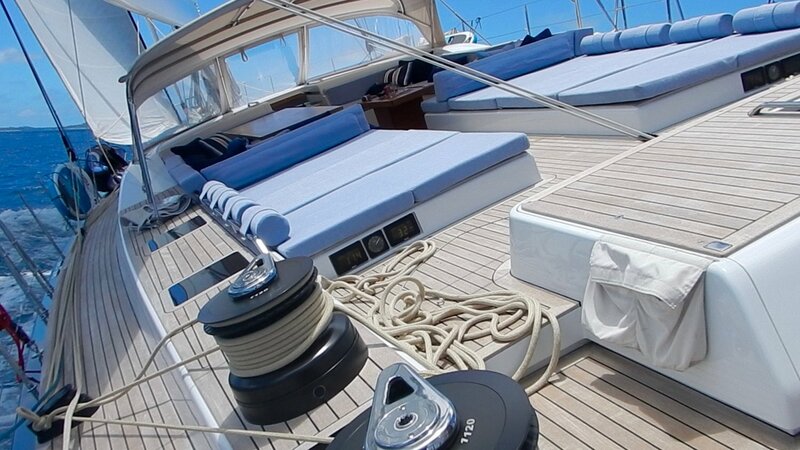 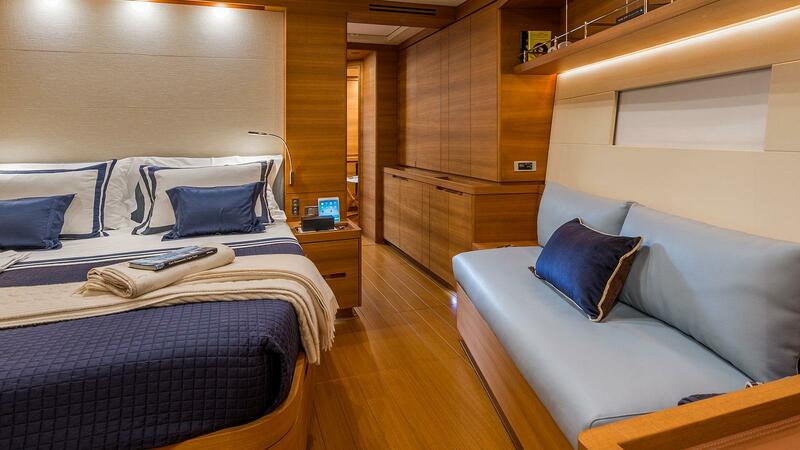 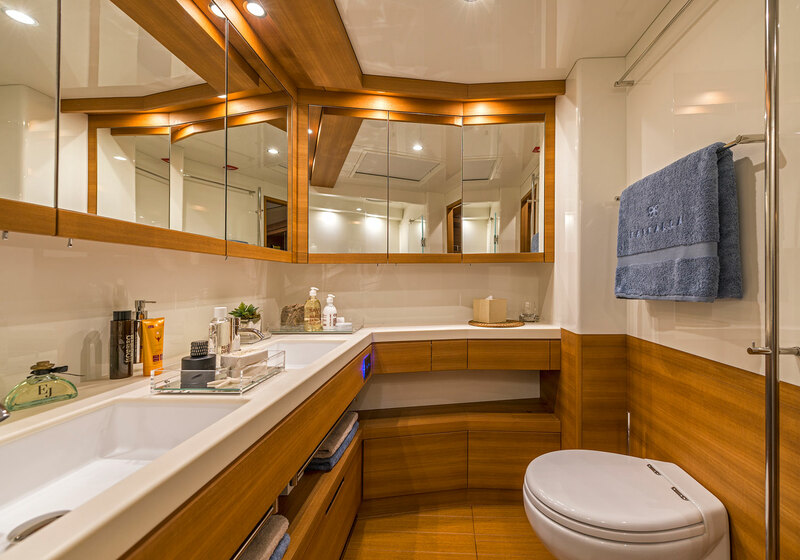 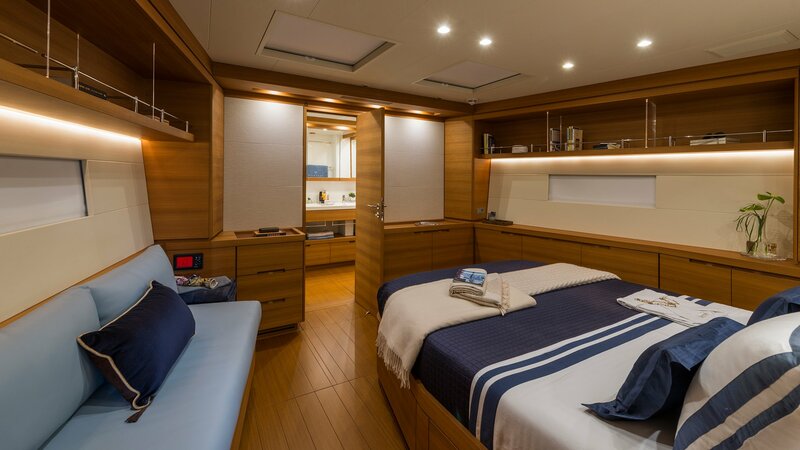 She accommodates eight charter guests in 4 cabins. 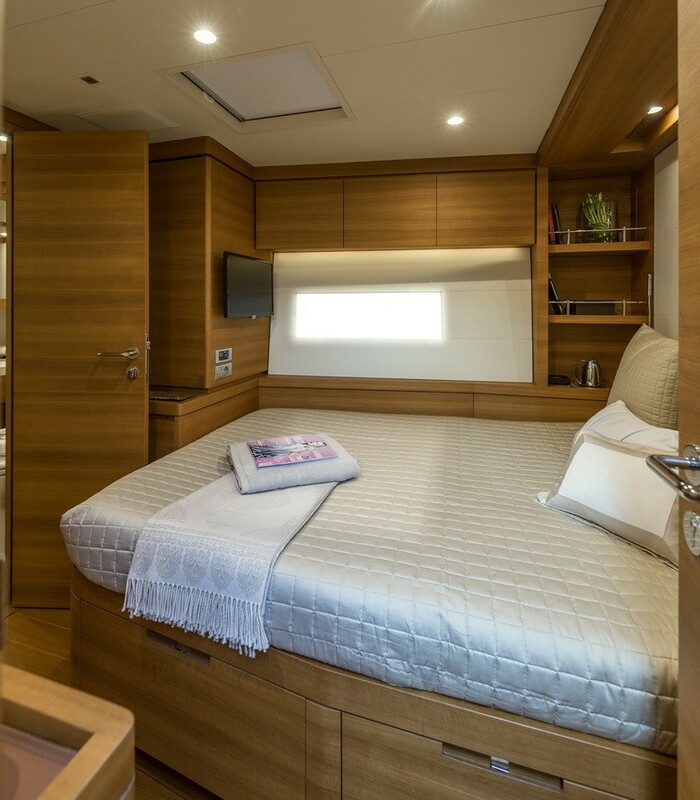 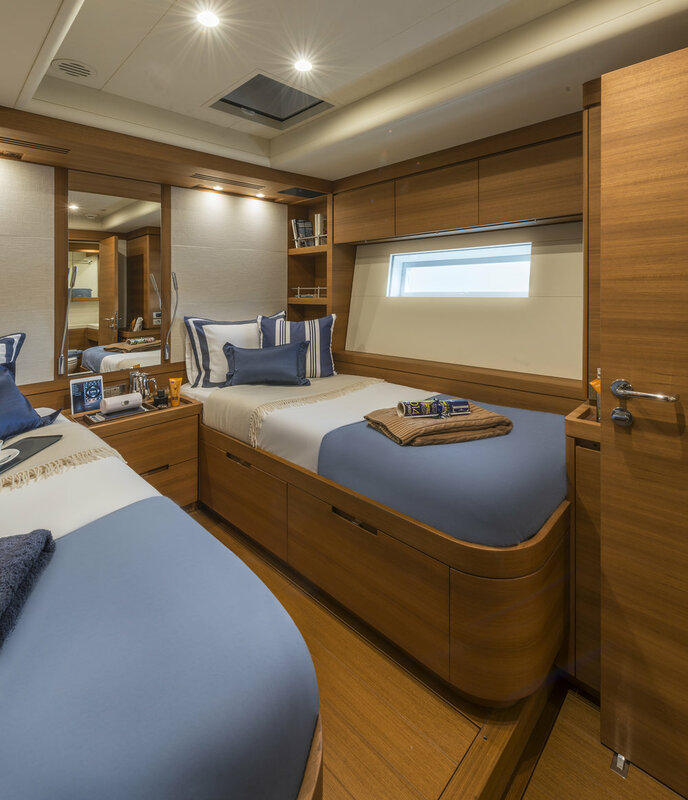 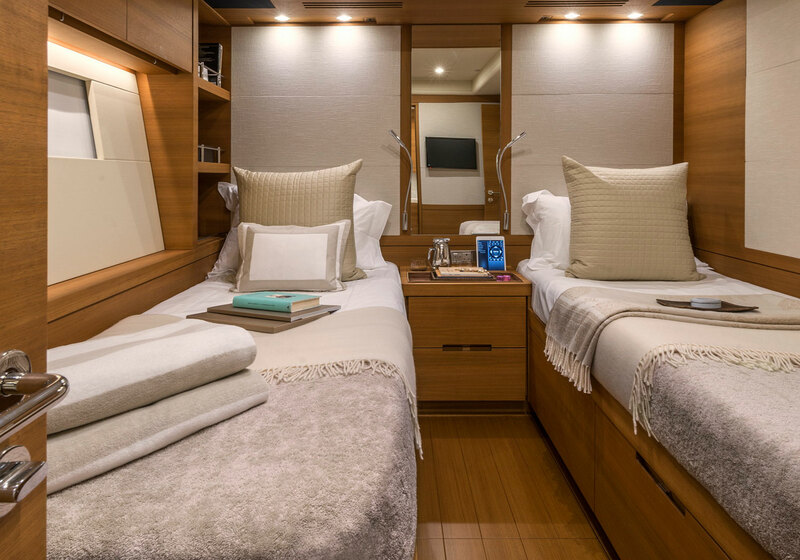 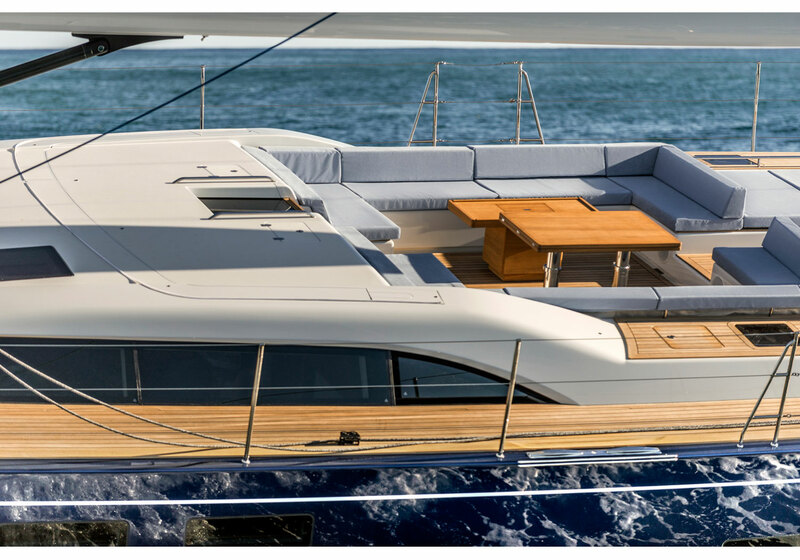 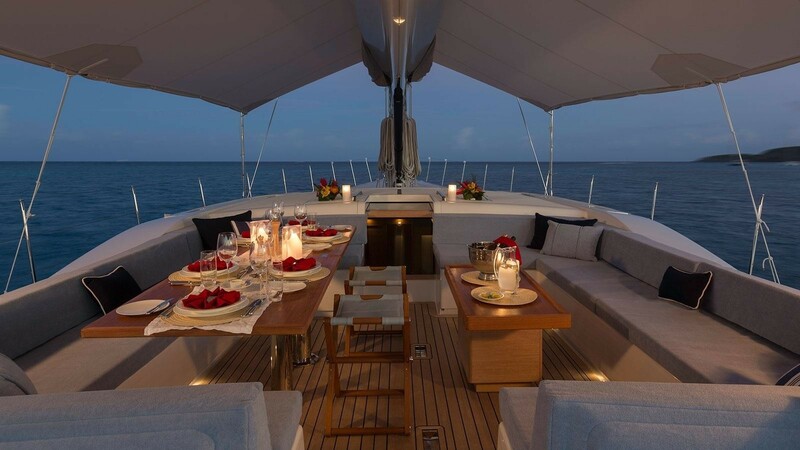 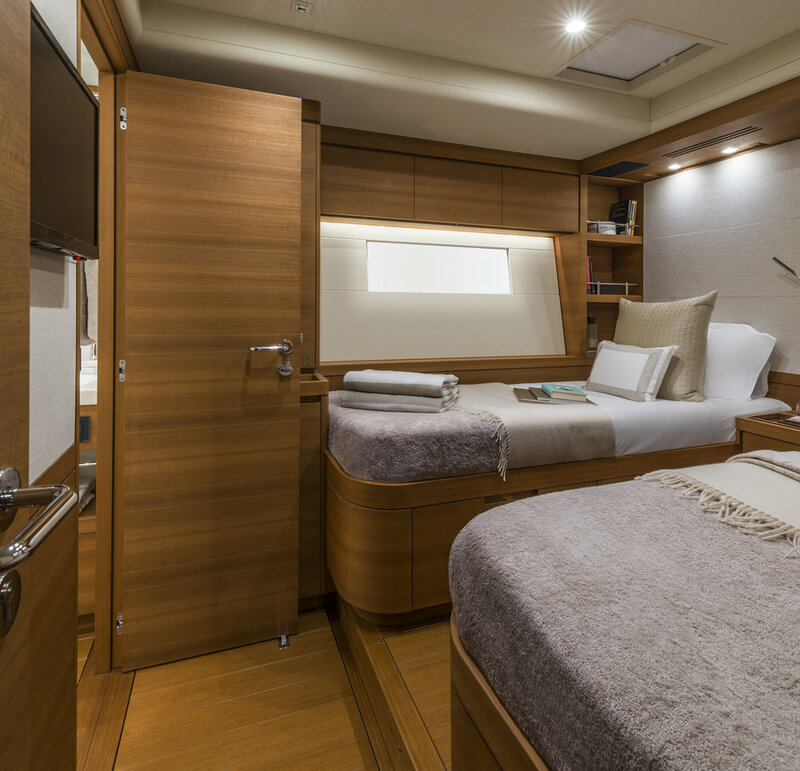 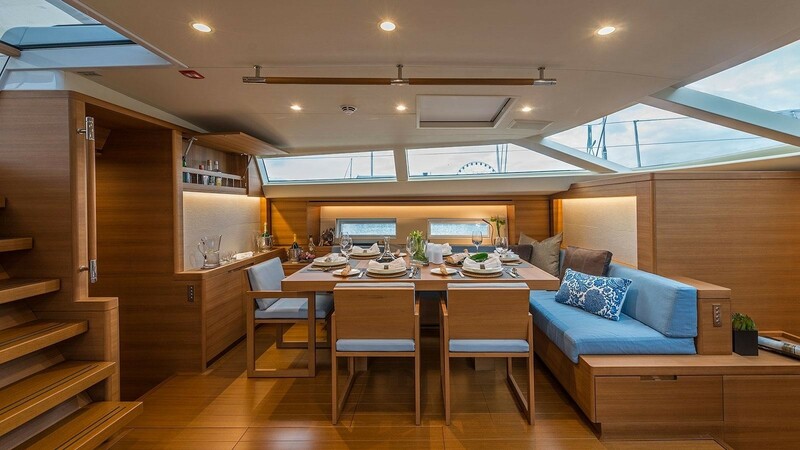 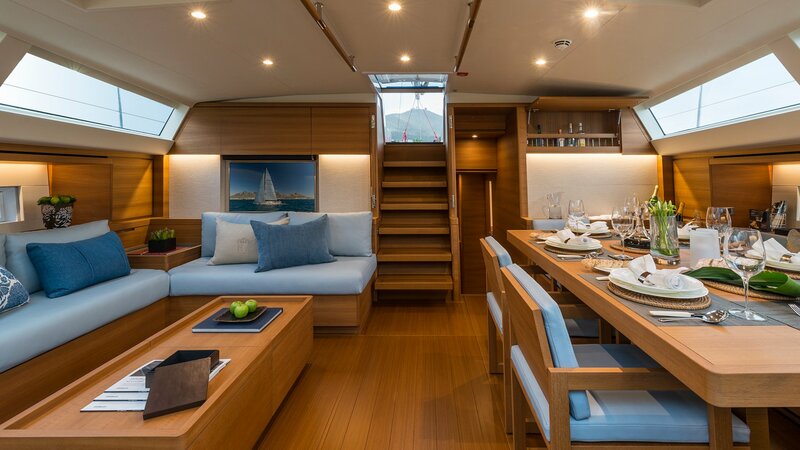 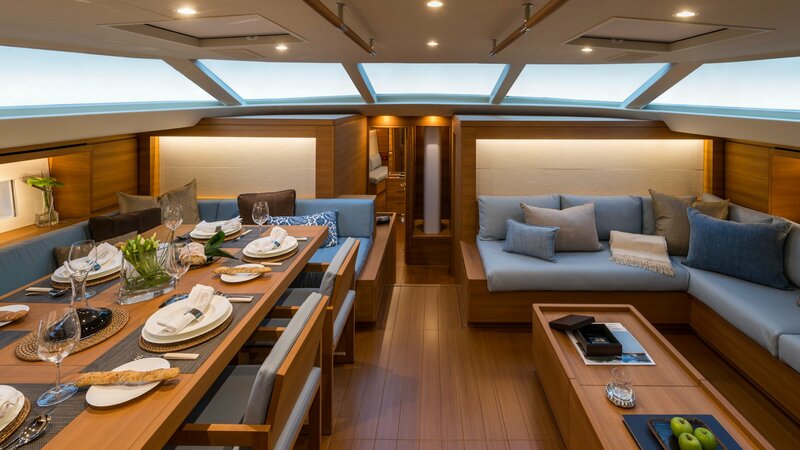 SW 102 luxury yacht Farfalla features a classical interior layout, with the master’s cabin afore and the crew quarters in the aft. 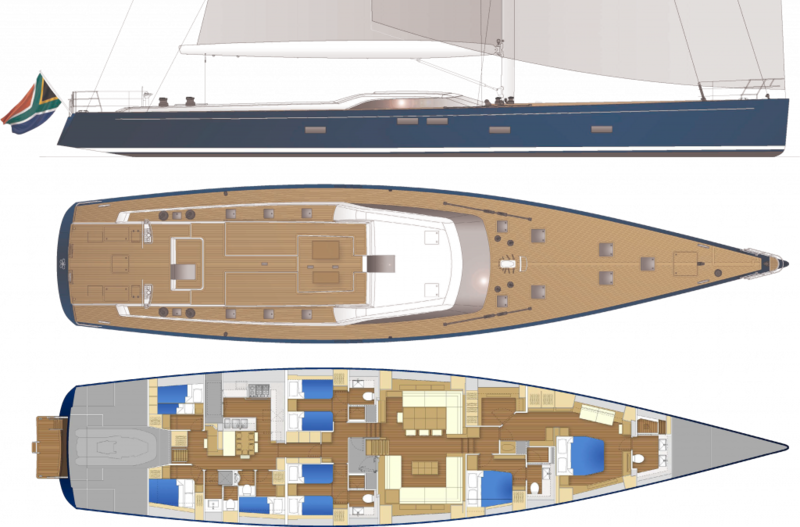 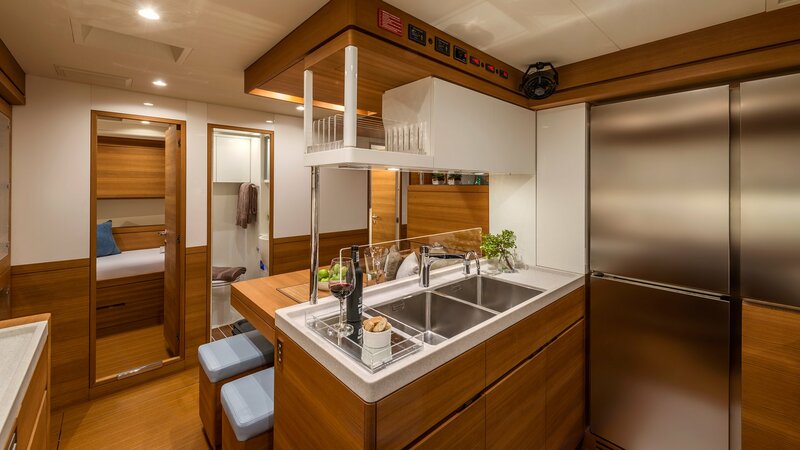 Also, she offers an airy under-deck open saloon, as well as a large garage, able to store a 4-meter tender. 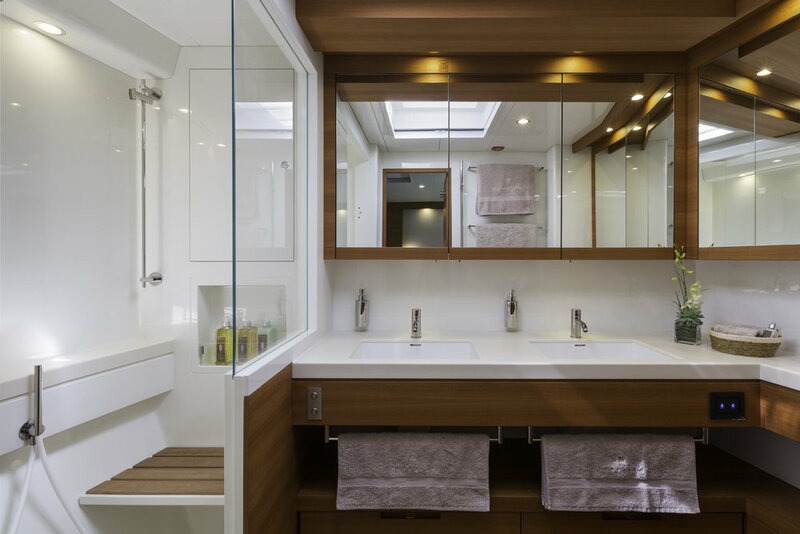 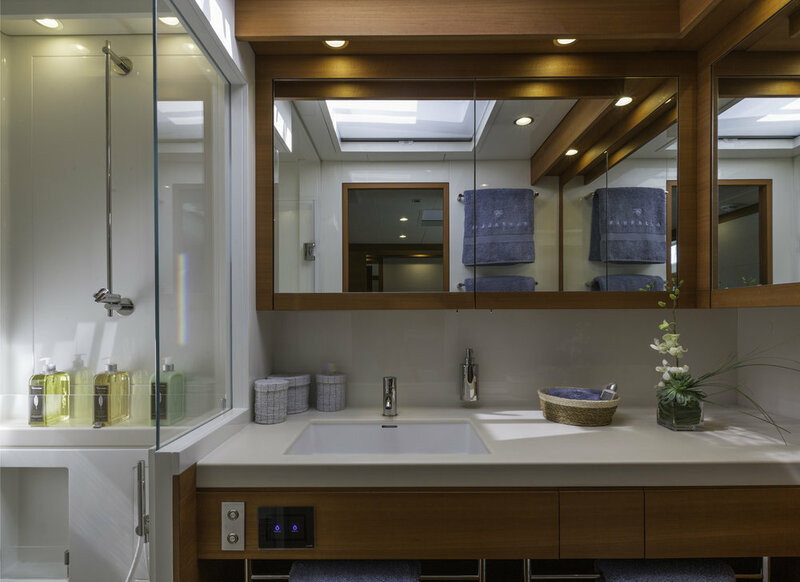 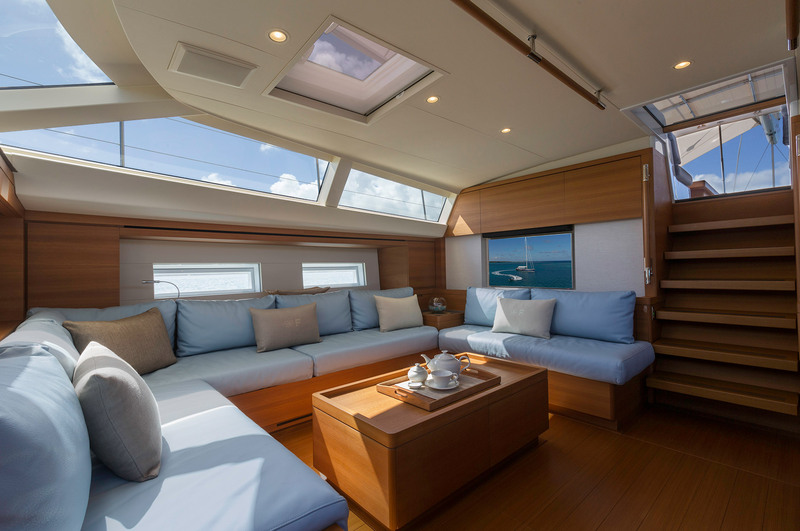 The spacious flush deck boasts panoramic windows allowing 270-degree view and natural light in the salon, creating a bright and inviting atmosphere. 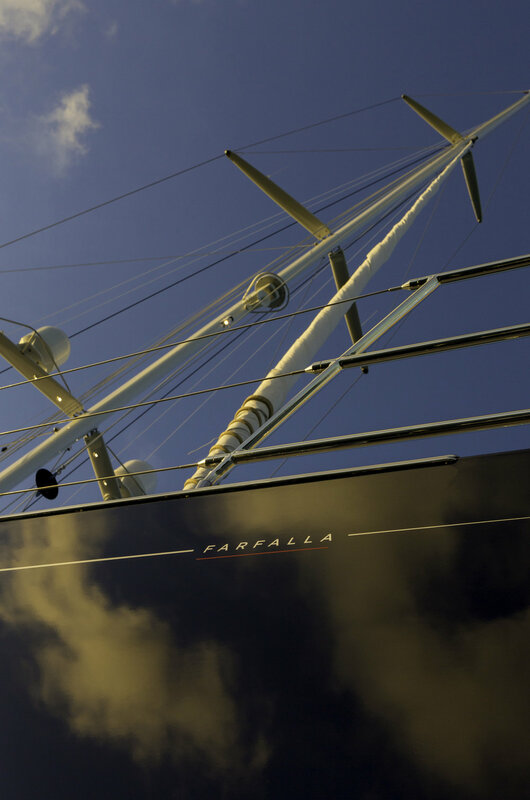 Built in a composite sandwich, the 32-meter superyacht Farfalla is powered by twin CUMMINS QSB 6.7MCD diesel engines. 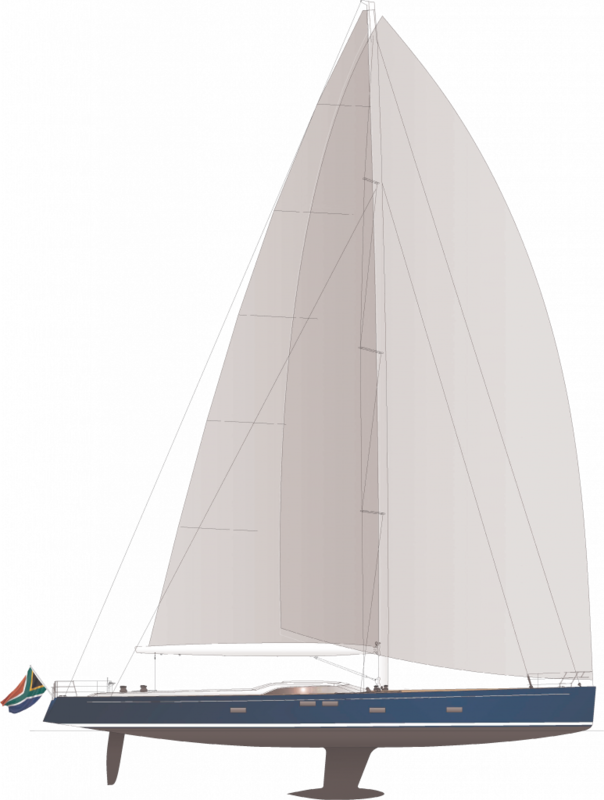 Her beam is of 6.9m, and her draft is of 4m. 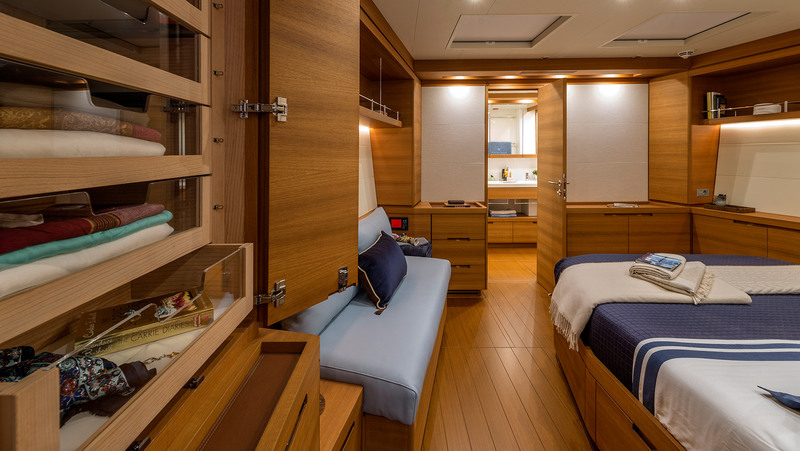 Accommodation is offered in four cabins for up to 8 guests. 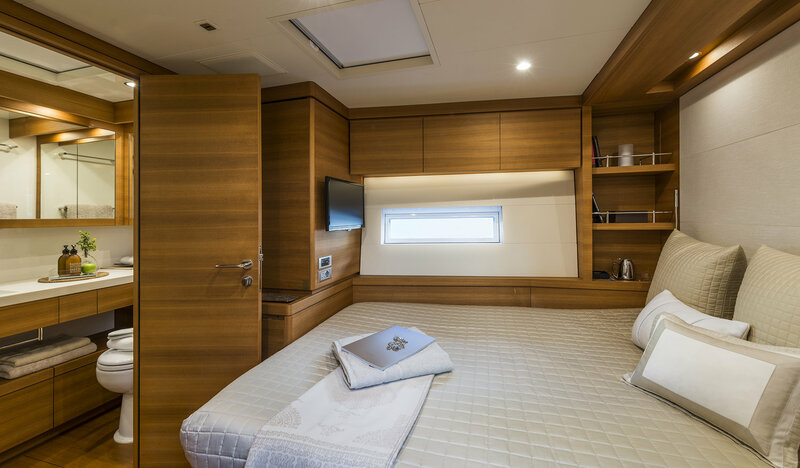 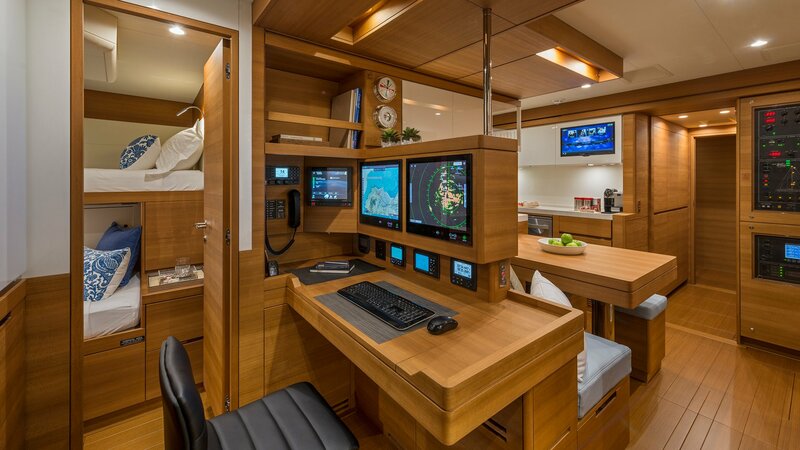 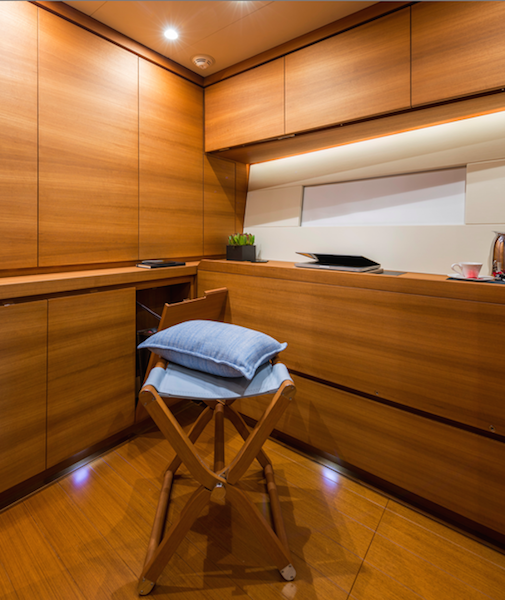 There is a spacious master cabin, a double and two twin cabins. 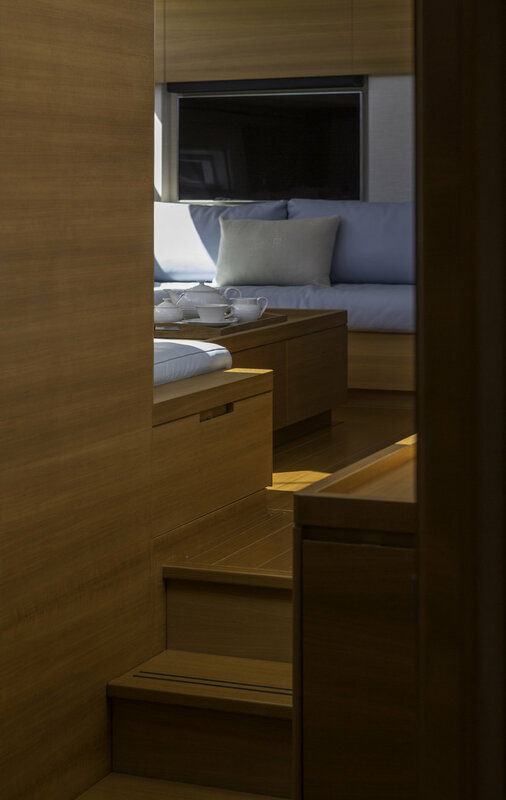 Each guest room has high ceilings and natural light, creating a relaxing, yet sophisticated atmosphere.